Owned and managed by Joe Beggan – a consulting engineer with a quarter of a century’s experience in building design, planning, project management and supervision – Encore Consulting is a multi-disciplinary practice based in Clones, County Monaghan. We touched base with Joe to discuss some of the services provided to agri clients. Specialising in a full range of domestic, agricultural and commercial buildings, Encore Consulting offers professional, friendly and cost-effective design, planning and project management services to farmers and landowners on both sides of the border. Access is also provided to additional services such as fire safety certificate preparation, CAD detailing, dwelling and site surveying, soil testing 3D modelling and preparing site Health & Safety plans. 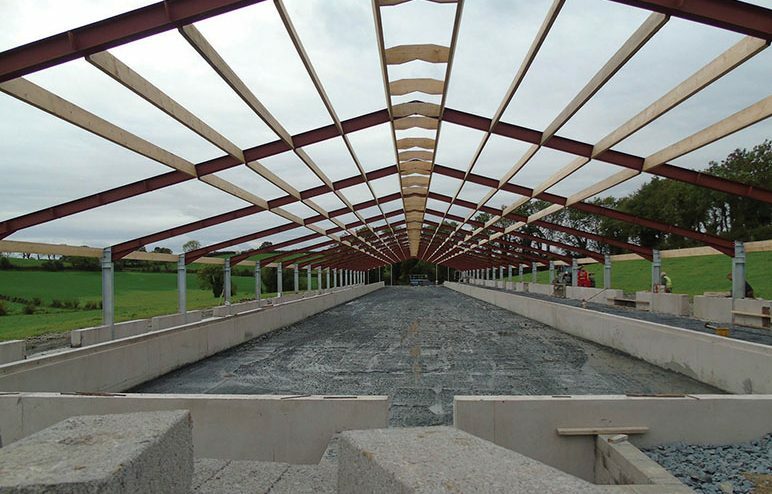 Encore Consulting has a proven track record working on agri structures such as large poultry units, slatted sheds and ancillary farm buildings as well as overseeing planning and design on domestic extensions. Founder Joe Beggan and his team also arrange Certificates of Compliance (required by banks, lending institutes and legal professionals in order to confirm that the works comply with the appropriate planning and building regulations), pre-purchase home surveys, declarations of identity and land registry maps. Joe has a long-running association with the agri community, having drawn his first poultry unit by hand over twenty years ago. He estimates that agricultural buildings currently account for up to 40% of his overall work. “Agri has been a big part of it from the very beginning and you are right in the middle of it here in Clones,” he states. “We benefit from a lot of repeat business and referrals. It’s a close-knit community and people are happy to recommend you if you provide a good service. Monaghan is of course synonymous with poultry and this is an area in which Encore Consulting does a large volume of work, incorporating neighbouring counties Fermanagh and Cavan as well as Longford. “There’s still an appetite for granting licences in Monaghan once the litter is controlled,” Joe notes. Encore prepares reports for farmers who want to apply for TAMS II grants in order to upgrade their existing poultry houses, although the dynamic and progressive nature of farming today is such that farmers no longer depend fully on grants when they want to erect new buildings. “A lot of farmers with young sons coming through are getting advice from Teagasc and Ballyhaise [Agricultural College] up the road that they have to either move or stagnate. This is why many of them are bringing in new ideas, investing and diversifying. Encore Consulting is on hand from start to finish on the building project concerned to make sure that everything runs as smoothly and cost-efficiently as possible. It’s a vital and practical partnership which can provide great savings and peace of mind to farmers, where buildings are generally costing in the region of €450,000 to €500,000.